Knowing how to make margaritas is a very important skill in life. 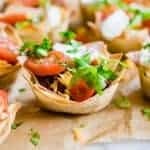 These are such easy drinks to make. They are so refreshing, especially when made with real fruit! Plus the fact that they can be made like slushies is just fun. Ever since I got my blender I’ve been making margaritas. Nothing goes better with Mexican food than a cold, frosty margarita. 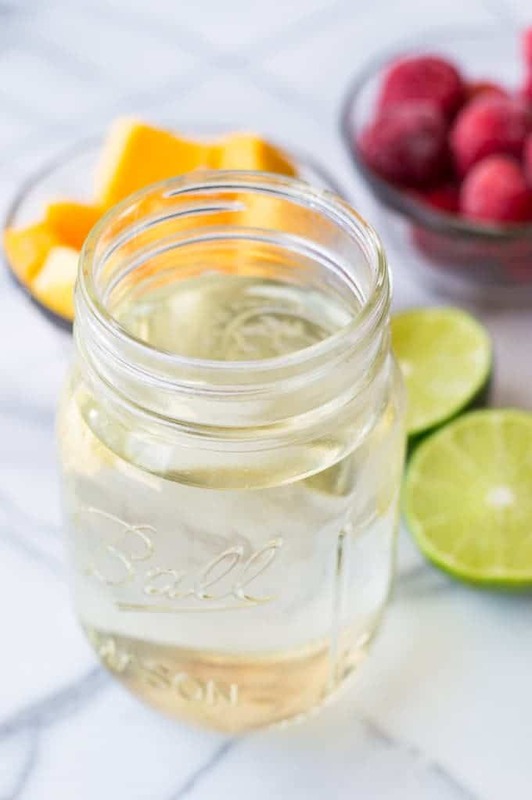 Today I’m going to share some tips and tricks and 3 recipes for you to make your margaritas at home using real fruit! The key to making a margarita with real fruit is the simple syrup. This is just a basic combination of sugar and water, heated and stirred so that the sugar completely dissolves. Without this the drink will come out kind of bland. The alcohol will take a lot of the natural sweetness away from the fruit, and all you will really taste is the tequila. No fun at all. So adding the simple syrup actually helps to make it taste more like the actual fruit and not so much like alcohol. 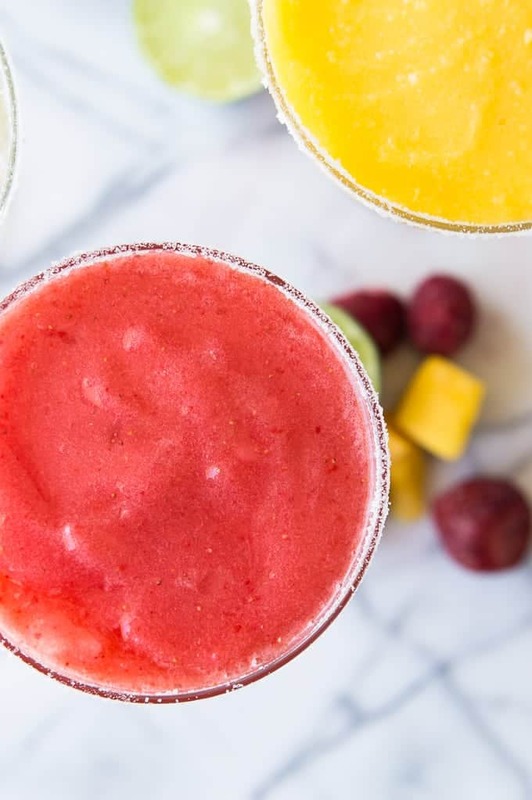 When making margaritas with real fruit, it’s nice to have already frozen fruit. 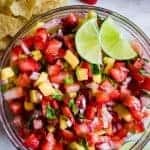 You can make it with fresh fruit also, but for the purpose of this post I’m going to show you how to make it with frozen fruit. 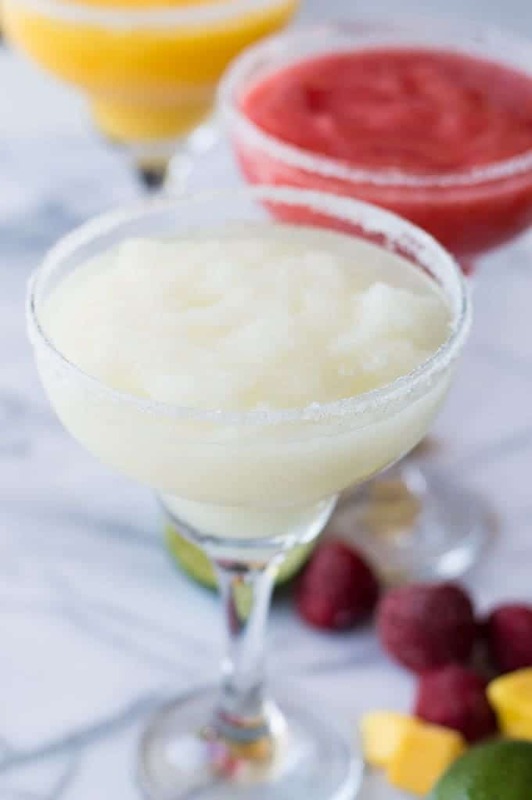 It’s a lot more convenient to keep the fruit frozen in the freezer, plus it helps to keep the margarita nice and slushy like. 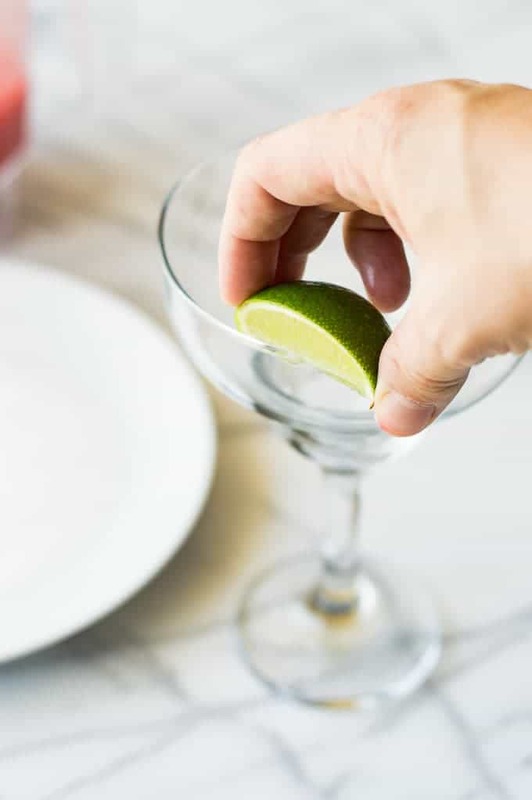 The easiest way to get either a salt or a sugar rim is to rub a slice of lime around the rim of the glass. Then dip the glass into your choice of sugar or salt. I typically go with sugar, I like the sweetness. 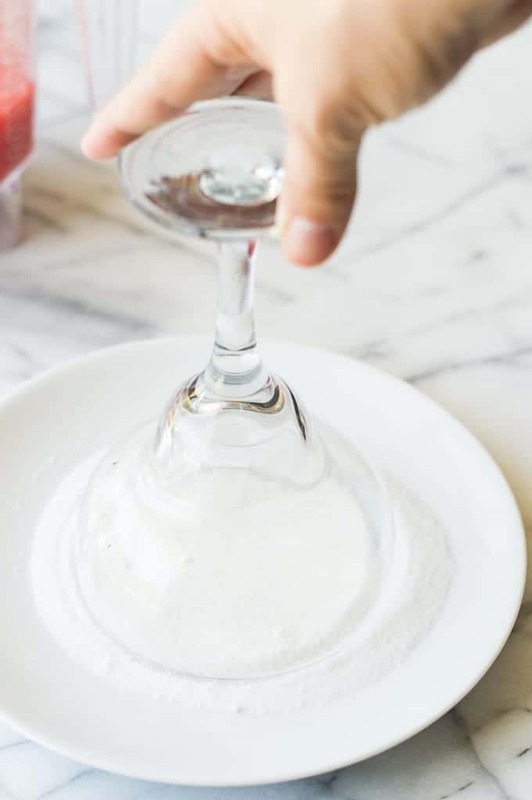 You can also add some fruit zest to the sugar and mix it together with your fingers and dip the glass into a fruit flavored sugar. For a basic lime margarita we’re going to use fresh lime juice. 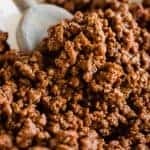 If you’re looking for an easier version you can also use frozen lime concentrate. I do this a lot. It’s easy, you don’t have to juice tons of limes, and you don’t need to use a simple syrup since the concentrate is already sweetened. 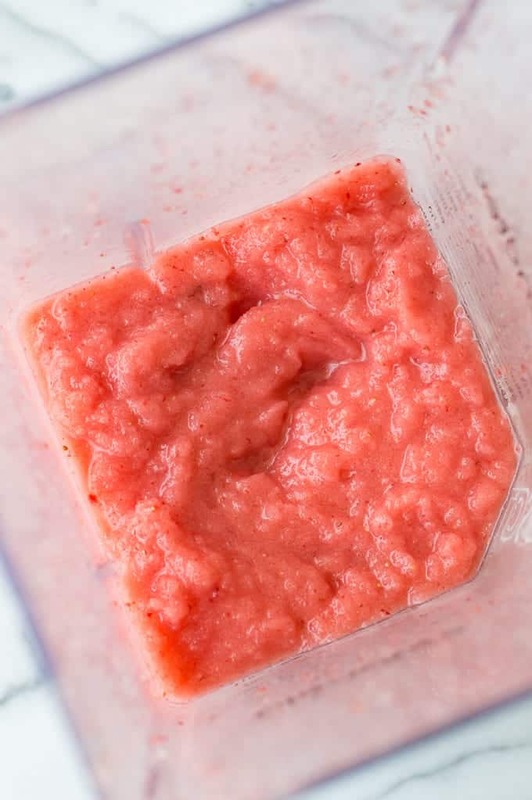 When using frozen fruit it’s sometimes hard to measure how much fruit you’re actually putting in the blender. So a lot of it is adjusting and adding a little more of certain things. 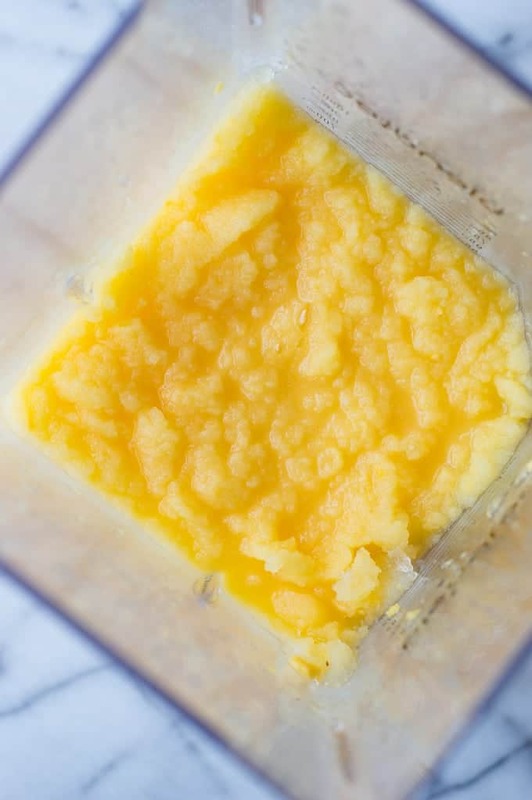 The mangoes come out so smooth and almost creamy when you blend them. 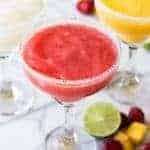 If you feel that the margarita is too thick, or you’re having a hard time pouring it out, you can always add a splash of water to thin it out. Too much fruit will make it too thick. Same with strawberries. It’s always best to start with a little less fruit, you can always add more if it’s not looking thick enough. To get the frosty frozen margaritas a blender is pretty much necessary. 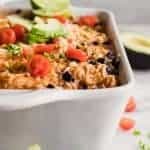 If you don’t have a blender you can try a food processor (affiliate link), which will leave a lot of big chunks. Or I would recommend just getting the actual fruit juice and using that. My previous Mango Margarita recipe uses that method. A margarita on the rocks is still enjoyable! This easy to follow basic recipe is easily adaptable, you can use different fruits or juices that you would prefer. 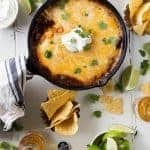 The main ingredients that you will need on hand are the simple syrup(recipe below), tequila, and an orange liqueur (I prefer Triple Sec). Add the water and sugar to a small pot, heat over medium heat. Whisk while cooking. 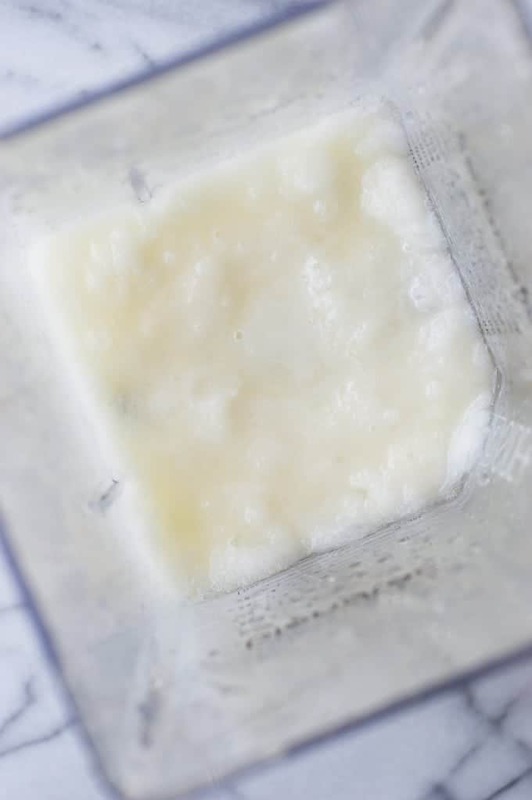 Once sugar is completely dissolved and mixture is clear, remove from heat and allow to cool. 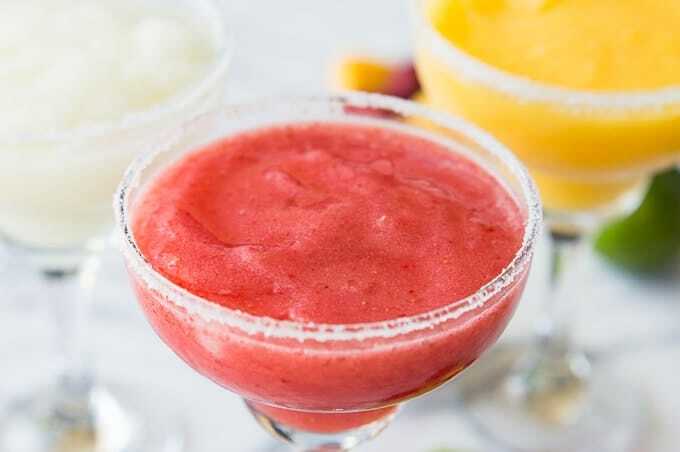 Add the frozen fruit, simple syrup, tequila, orange liqueur and ice to a blender. Blend for about 1 minute until completely mixed and no large chunks remain. Run a lime wedge around the rim of the glasses. Dip into sugar or salt. Pour margarita into glass, serve and enjoy! Okay! You have my Cinco de Mayo drink figured out now!! 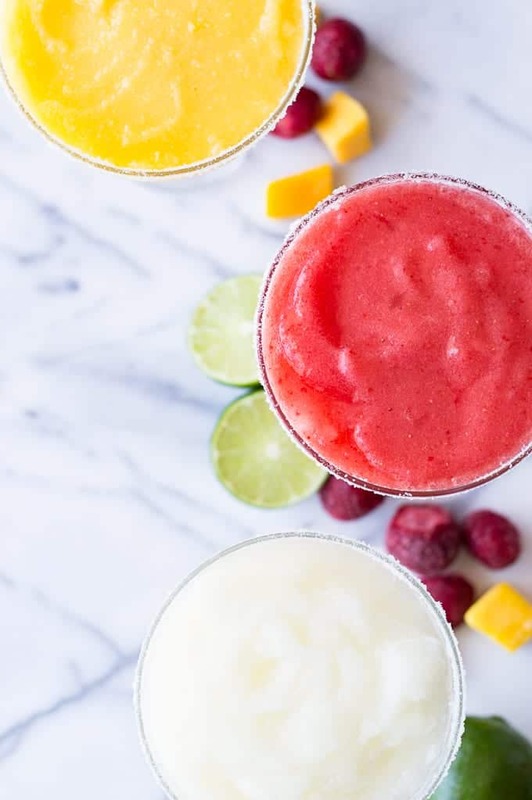 I luv me some frozen margaritas – and these look like exactly what the doctor ordered. I’ll take one of each. 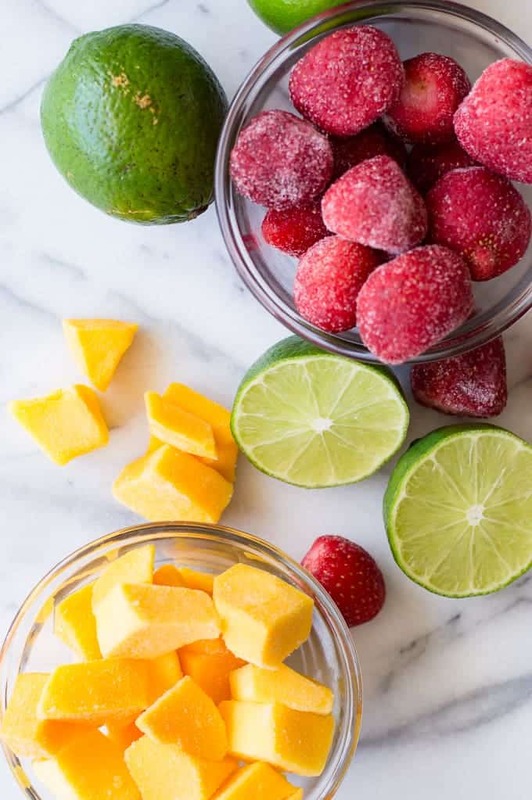 Big proponent for freezer fruit over fresh over ultra smoothie-ness! Nothing beats a margarita and chips and salsa on hot summer day! I’m so excited for summer! I need to try a virgin version! Love all of these. I agree, a blender is key! 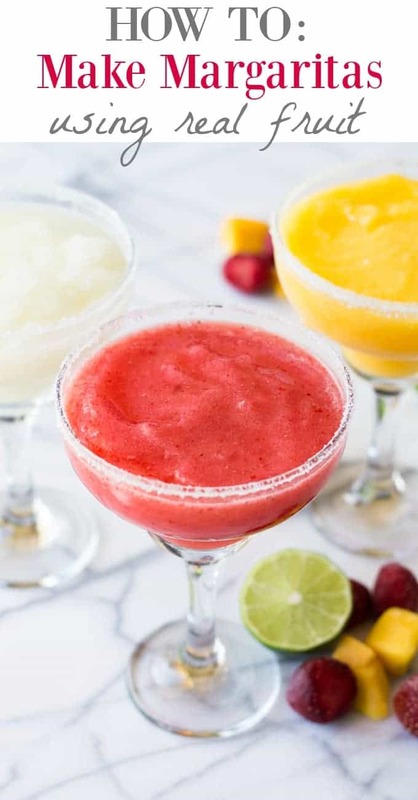 Love these bright colored margaritas! They’re calling my name!